This isn’t like any other bike race. The Velorama Festival will feature artist like Wilco and Death Cab for Cutie. Twelve blocks in RiNo Art District will become a three-day festival with daily family-friendly festivities including, local food, artisans, games, bike and lifestyle expos and more. You can win a lot of cash. How can FirstBank possibly make this better? Well, we’ll be giving away up to $500 in CASH. Want to find out how you could be a lucky winner? We’d like to introduce Piggy Bank Payday! 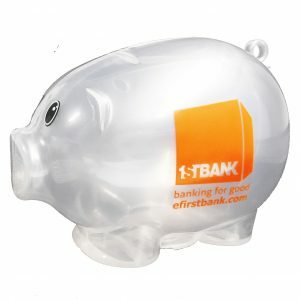 There will be branded piggy banks (pictured here) with FirstBank “cash” inside hidden throughout the Velorama festival/concert campus (mapped below) on Saturday, August 12. The piggy banks will be up for grabs starting at 10:00 a.m. and could hold a value of $50, $100 and up to $500. Keep your eyes peeled and if you’re one of the lucky people to spot a hidden piggy bank, bring it back with the FirstBank-branded bucks found inside to our FirstBank booth space in the EXPO section of the campus. There, you can exchange your FirstBank bucks for real CASH. We’ll be giving out treats. Didn’t find a piggy bank? Don’t fret. Stop by our booth for a free refreshing treat on us. We’ll be handing out FREE Aiko Pops, specialty ice pops with unique flavors, on Saturday, August 12 from 11-2 p.m. while supplies last. Click on image to see the full size map. NO PURCHASE OR PAYMENT OF ANY KIND IS NECESSARY TO PARTICIPATE OR WIN PIGGY BANK PAYDAY. BY PARTICIPATING YOU AGREE TO THE TERMS AND CONDITIONS. FirstBank employees and their immediate family members are not eligible to win. 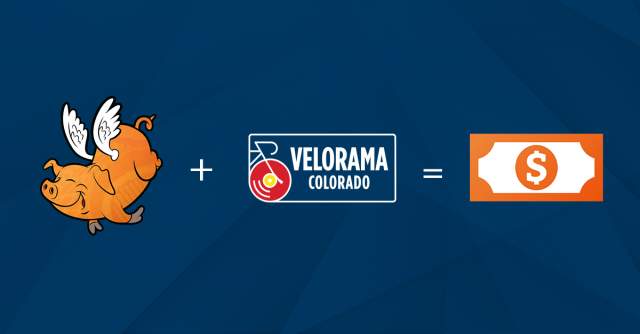 Velorama employees and volunteers are not eligible to win. Odds of winning will be based on the number of participants. One prize per person and per household for the duration of the promotion. Offer is only valid on 08/12/2017. Only $2,000 in increments of $50, $100 and $500 will be awarded. Winner may decline the prize. FirstBank will not be held liable for any increased income tax liability. Consult your tax advisor. Must be 18 years or older with valid identification and TIN (Tax Identification Number) to receive the cash prize. Prizes cannot be exchanged. FirstBank money redeemed for cash must have official markings to be deemed valid. FirstBank money along with the piggy bank must be redeemed at the FirstBank booth in the Velorama campus on 08/12/2017.